(1) Possess a degree in Engineering (Civil) obtained from any of the Universities or institutions established or incorporated by or under the Central or State Act in India; or any other educational institutions recognized as such or declared to be a deemed University under section 3 of the University Grants Commission Act, 1956. 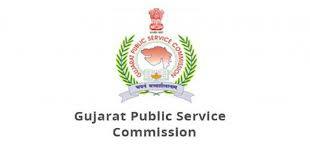 (2) The basic knowledge of Computer Application as prescribed in the Gujarat Civil Service Classification and Recruitment (General) Rules, 1967. (3) Adequate knowledge of Gujarati or Hindi or both.